Buffalo's AirStation HighPower N300 Wireless Router is a fast wireless solution, ideal for creating a high speed wireless home network. With wireless speeds up to 300 Mbps and HighPower Technology, the AirStation HighPower N300 Wireless Router is perfect for surfing the web, emailing, connecting to social media and more. AirStation HighPower N300 Wireless Router is a fast wireless solution for the home, ideal for email, social media and more. Dead spots in your home or office can slow down your wirless access and even prevent you from getting online. Advanced HighPower Technology from Buffalo enhances signal strength and can almost double the range. 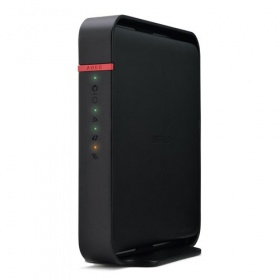 With speeds up to 300 Mbps on the 2.4 GHz band, AirStation HighPower N300 Wireless Router provides a fast wireless connection perfect for surfing and emailing from multiple computers, downloading files and streaming music, movies and other multimedia content from the Web. 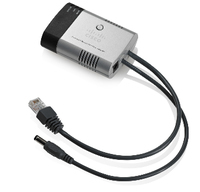 Easily connect with your computer, tablet and smartphone devices. AirStation HighPower N300 Wireless Router features an easy-to-use step-by-step setup wizard that guides you through configuration from start to finish. Within moments of opening the box you will have a secure wireless home network. 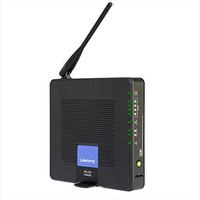 Easily upgrade to your network from the old Wireless-G standard and maintain compatibility with existing adapters and devices. 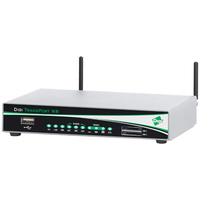 AirStation HighPower N300 Wireless Router works with any new Wireless-N device as well as the previous generation Wireless-G.